Welcome to Start With You where you will see fascinating new ways to achieve your goals and create the kind of life you want. Doesn’t it feel good when you’re in control of yourself? What if you could be on top of stress and firing on all cylinders at work? How about getting home at the end of the day with energy left in the tank for your loved ones? For you?! Because you can’t control everything in the world, but you can control yourself. And when you can control your own thoughts and emotions, and be your most brilliant resourceful self, life starts to feel pretty good. And you deserve it! In the same way athletes have a coach that helps them prepare and train their body to reach their goals, I help people achieve their goals by helping them train and utilise their mind. Using a range of techniques including NLP, Ericksonian Hypnotherapy and the Satir Model, coaching at Fresh Ways Forward focuses on you, the client, and offers rapid and lasting change. Register for the Start Me Up Toolkit, and receive your FREE video and eBook … giving you the three fastest ways (you haven’t heard of) to beat stress and take charge of your state. Subscription to our monthly updates to help you keep on track – including articles, tools and reminders of your own inner brilliance. 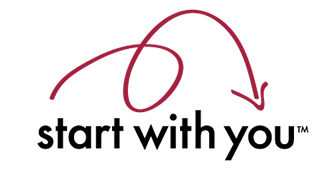 Be part of the Start With You community. 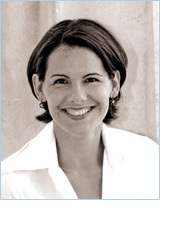 Karen Ross is a transformational coach, trainer and speaker. She is a certified Master Practitioner of NLP and Time Line Therapy with a Business Management degree from Waikato University. Karen lived and worked in continental Europe for five years. As well as coaching, she designs and delivers skills training in a range of areas including communication and leadership. As a speaker, she talks about Using Your Brain on Purpose - for success in business, sport and life. Her career spans more than a dozen countries; from UK and Eastern Europe to Japan, including management training, HR support, and consulting to a range of professional service firms and other organisations. She has written for various magazines about dealing with stress, and appeared on TVNZ One’s Breakfast in April 2010 talking about switching off from work, and Campbell Live in 2008 demonstrating helping a client overcome stage fright. Her focus is on helping people to use their brain on purpose to create the life they want. Coaching with Karen is inspirational and uplifting. It's an opportunity not to be missed because it will change your life. 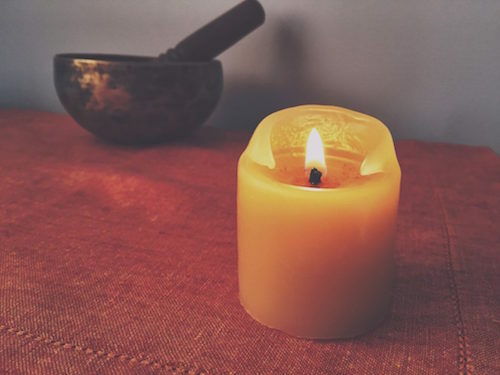 For many years I have been on my own personal journey, exploring ways of feeling more relaxed, uplifted, and in control of my emotions and attitudes. Not until I was fortunate enough to discover NLP did I realise I could truly realise my goals and grow in extraordinary ways. My experiences with the processes of NLP have shown me just the kind of growth a person can achieve quickly and easily, and with lasting results. NLP techniques are invaluable tools for transformation. By its very nature, NLP enables us to experience an increased sense of wholeness, choice and freedom to live fully. I feel excited and privileged in every situation I have the opportunity to work with a group or individual, such as you, to experience this too. "Since our session my improvements have been unbelievable! I've just won the Tauranga Open ... my lowest four round tournament score in about a year ... I love what we did together!" "I had spent most of my working life in support roles which meant I was mainly in the background, with someone else's name attached to a piece of work - I helped to make others successful. For a long time I loved my work and the value I brought to others and their businesses. Then I started to notice that there were one or two aspects of what I did that I really enjoyed and got a lot of satisfaction from. I decided it was time to focus on those and as a result I made a career change. Although I knew deep down that I was capable, I was very nervous of this shift and my confidence levels were low - the 'little voice' was holding me back. Karen has helped me enormously through NLP techniques to minimise that voice and to access the resources I had in myself all along that were just waiting to come to the fore. Her grasp of these techniques and her ability to coach them in others has really enabled me to take the next steps in my journey. Thank you so much."